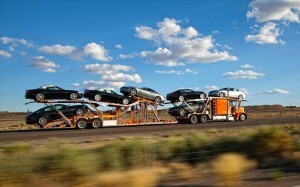 Car Transportation Process « Truck It Transport Inc. If it is your first time shipping, wanting to know how to transport a car is obviously an understatement. You can get lost in the overflow of information found on the internet, and it is hard to siphon through the non-sense. We will fix that by providing a simple step-by-step list of how to transport a car. After you review the different transport services, and choose the best one that fits your needs, we will take care of the rest! Enter your shipping information into our auto transport quote generator on our quote page or thru 1 of our lead companies we use. Double check your work to ensure accuracy before submitting it for review by 1 of our representatives. To ensure that your quote is as accurate as possible, please make sure that the running condition and open/enclosed fields are correct. An operable or inoperable vehicle can make a different in the auto transport quote. Also, requesting open transport or enclosed transport can make a difference in the quote. You will receive five different quotes for the different service levels we have. A duplicate bidding war on the auto transport load board occurs when multiple companies that are found on the internet are contacted. It is almost impossible to know if a transport company’s website is an actual carrier, broker or lead generation website. Working with multiple companies will drive your price up. We stand by the quotes we provide, and ask you to please allow us to do the work for you! Once we have a car carrier established, we will get in touch with you by email (Dispatch Notice Email), which will let you know the pickup and delivery dates to ensure they work with your schedule. If not let us know immediately and we will find another carrier. This might take another day, this might take another week. But you must let us know immediately. Once a carrier is assigned, drivers normally pick up vehicle next day. The car carrier will contact you at least 2 hour priors to pick up. They will give you a general idea of exactly what time they can pick it up. Once they arrive, a car inspection report is done on the BOL, and it is extremely important you maintain a copy of the bill of lading. There is usually one master copy along with two additional carbon copies. The car will then be loaded onto the car transport carrier, and your vehicle is now officially in transit. Please feel free to contact the carrier at any time for status updates or a more exact ETA. The car carrier will contact you or the person you appointed about an hour or two prior to their arrival at the destination. Once the car is unloaded, another inspection is done on the same Bill of Lading used for pickup. Once the inspection is approved, the final payment is due to the carrier in cash or certified funds. Please feel free to contact the carrier at any time for status updates or a more exact ETA. Feedback is very important for our company. Please leave feedback based on your experiences based on our company, Truck It Transport, not the assigned carrier. We are 2 different companies. If you have any issues with the carrier, please shoot us over an email or call us up at 888-285-8508 directly to discuss the matter.